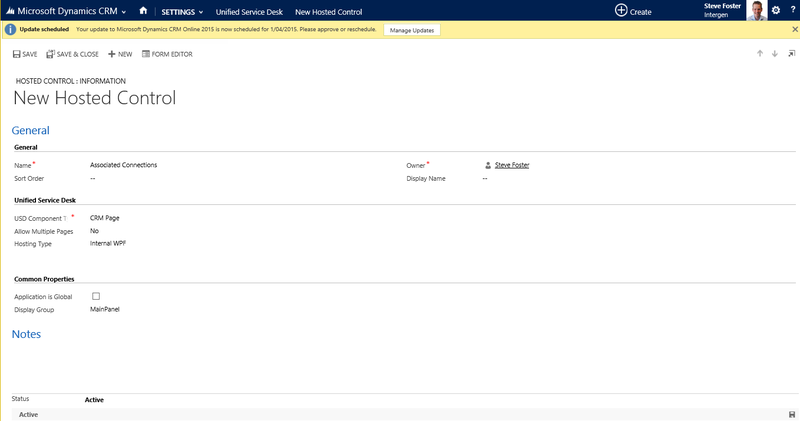 If you have used the Unified Service Desk you will know that the navigation is different, you do not have access to the standard navigation bar, if you want to access an associated view then you need to add a button or a sub grid to the form. This is not a simple process if you have tried! So I have documented the steps to achieve this. 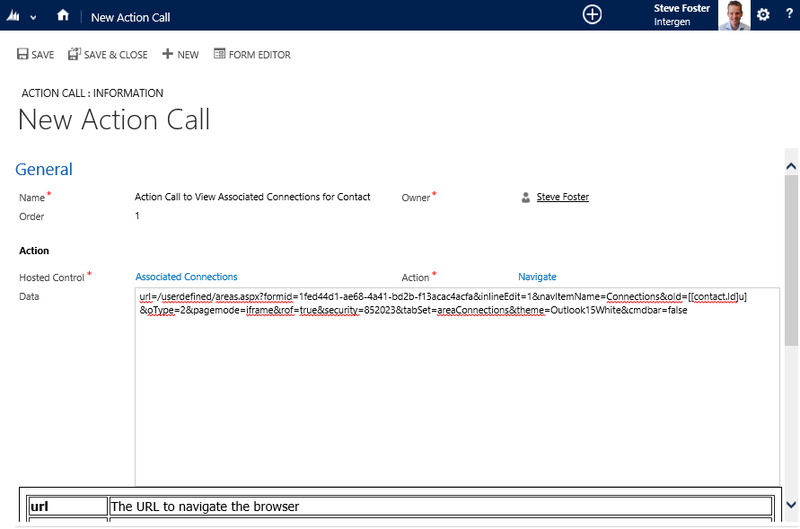 In my example I am adding Connection to my contact form tool bar. Find the following line and copy the URL, you will need it later. Select the Hosted Control and Action Navigate and copy and paste the URL from step 5 into the data section as below. Save and you have completed the steps.